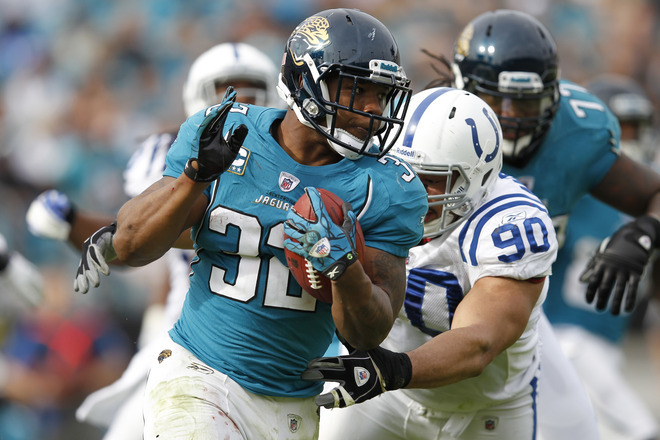 Jaguars fans can breathe easier today – running back Maurice Jones-Drew has ended his 38-day holdout. The stud back reported to the team without a new contract Sunday morning, chatting with his new coach as well as with teammates. Jones-Drew is the last player to report, he was the NFL’s leading rusher in 2011, and wanted a new deal and decided to skip all of camp. With coach Mike Mularkey able to fine him up to $30,000 a day – plus $60,000 for a three-day, mandatory minicamp – Jones-Drew could be out $1.2 million this season. He is scheduled to make $4.45 million in 2012 and $4.95 million next year. Jones-Drew wanted to renegotiate the final two years of a five-year, $31 million deal that paid him nearly $22 million the last three seasons. 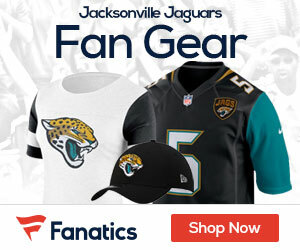 Owner Shad Khan and general manager Gene Smith refused, not wanting to set a precedent of paying players in the middle of lucrative deals. Those comments apparently didn’t sit well with Jones-Drew. ”Maurice wants to play for an organization that wants him and for an owner who respects him and values what he brings to a team – on the field, in the locker room and in the community,” said his agent, Adisa Bakari. Now that he’s in, it will be interesting to see if Kahn and his agent sit down and get a new deal done, or if MJD plays unhappy the whole season.